The hottest product in the consumer electronics market today is undoubtedly tablets or more specifically the iPad 2 of Apple. According to Forrester Research, tablet sales in the US are expected to double this year to 24.1 million units from 10.3 million units a year ago with more companies expected to roll out their own versions. With the release of Android Honeycomb OS specifically made for tablets, the competition has been intensifying. Although Motorola was the first to put out a challenger to the iPad throne with their Xoom companies like Samsung, with its Galaxy Tab, and RIM, with its Playbook, will soon follow. Not to mention every other electronics company announcing their own tablet versions rushing to catch the wave of this newly revived product category. Tablets have one major advantage (on top of many other advantages) over laptops and netbooks which is now driving the semiconductor industry to a different direction. 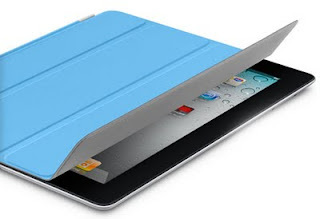 Instead of using spinning hard disk drives to store data, tablets use solid-state drives. This difference has enabled tablets to turn on instantly as opposed to the long wait one has to endure before a laptop or netbook is fully operational. The instant on capability of these tablets will change people’s expectations of how computers should work. Tolerance of the long start-up time will disappear and demand for instant on will force computer companies to move away from hard disk drives to solid-state drives. This shift could mean the extinction of hard disk drives and a surge in NAND flash memory production used in solid-stated drives. The semiconductor industry will have to move in a different course to accommodate this change. As a consequence, solid-state drive sales are projected to boom in the years ahead. iSupply research estimates SSD revenue this year to hit 4.4 billion US$ from 2.3 billion US$ in 2010, a 91.3% increase, going as high as 7.2 billion US$ by 2014. Equipment manufacturers for the semiconductor industry know this shift is imminent and are prepared to take action. "Tablets are moving the industry to solid-state drives. We had been hoping for a long time that netbooks would do that, but it turns out that tablets are moving the industry to SSDs. That will require significant investments, sending capex to all-time highs. The knock-on effect will be to instigate real redesigns in PCs and laptops. People want instant on, or at least faster on,” Mike Splinter, CEO of Applied Materials – the biggest equipment manufacturer in the semiconductor industry, said. Ultimately, this shift is good for consumers since with capital moving to manufacturing of solid-state drives, its price will go down. Once this happens, computer makers will more likely shift to solid-state drives from hard disk drives for laptops, tablets and netbooks. Instant on will be the norm when that occurs and we will not have to waste our precious time anymore waiting for our computers to boot up.